The King's, and later Queen's, Orphan Asylum was built between 1831 and 1833. 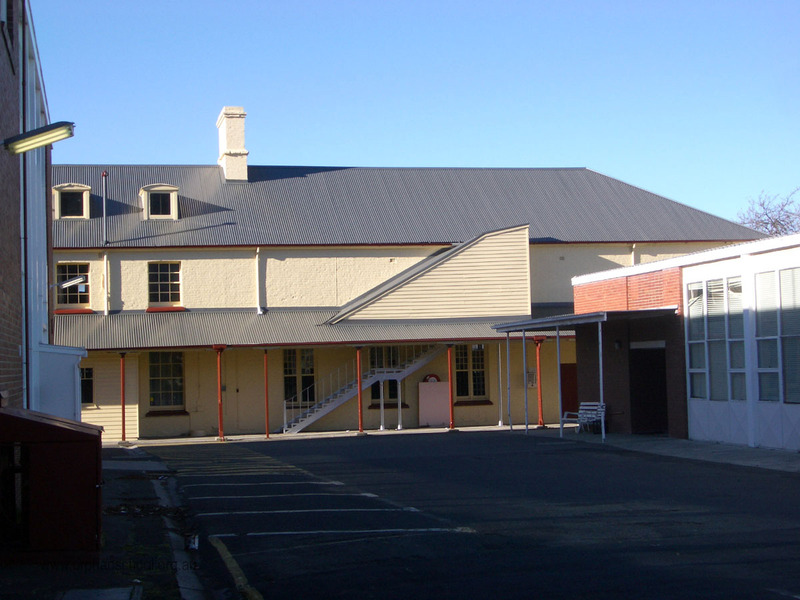 The buildings were designed by noted colonial architect John Lee Archer, under instruction from George Arthur, Lieutenant-Governor of Van Diemen's Land from 1824-36. Arthur, described by his critics as a controversial and authoritarian man saw a need to provide some government assistance for destitute and orphaned children in the colony. There was significant support for this initiative among the people of Hobart. Although not the first building to house orphans in the colony, it was the first built expressly for this purpose. 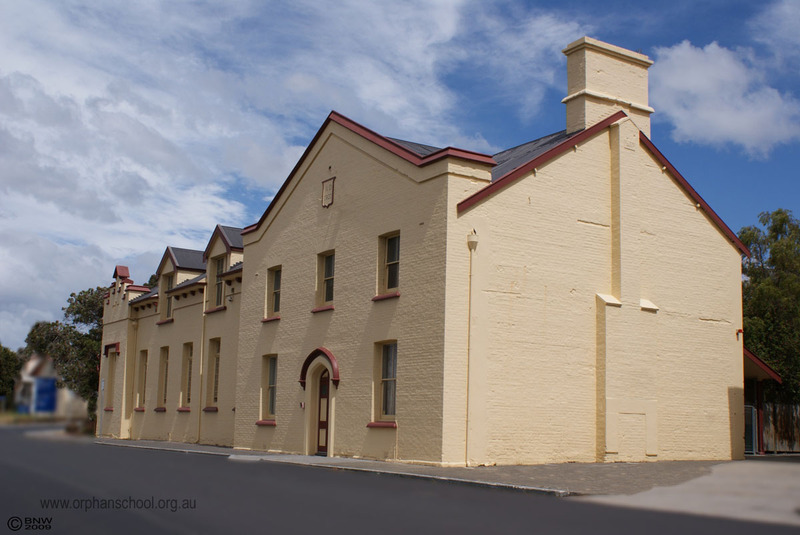 The Orphan School, built by convict labour, operated from 1833 until its closure in 1879. 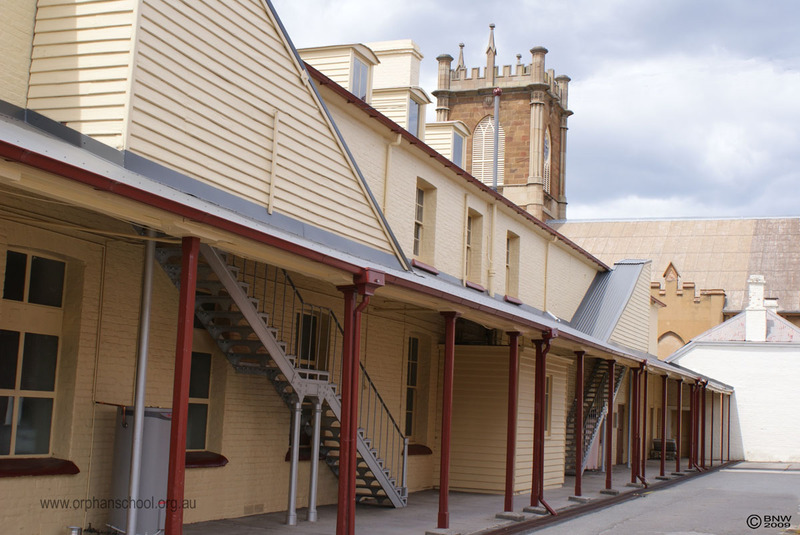 In 1848, when Charles O'Hara Booth - formerly in charge of the Point Puer boy's prison - was superintendent, there were 463 children at the institution, of whom 411 were the children of convicts and seven were Aboriginal. Reports indicate that conditions within the school were harsh: the buildings were sparsely furnished and cold; food was often in short supply; and many of those responsible for caring for the children treated them harshly. Epidemics of scarlet fever in the 1840s, measles in the 1860s, whooping cough and scarletina in the 1870s exacted a heavy toll among the children in the Orphan School. In the 1850s the rights of the children at the school were championed by Edward Swarbreck Hall, a medical practitioner committed to improving public and institutional healthcare. In 1859 an inquiry was established, largely as a result of his criticisms. Although the management of the school was exonerated from blame, conditions at the school, particularly in terms of dietary requirements, improved. 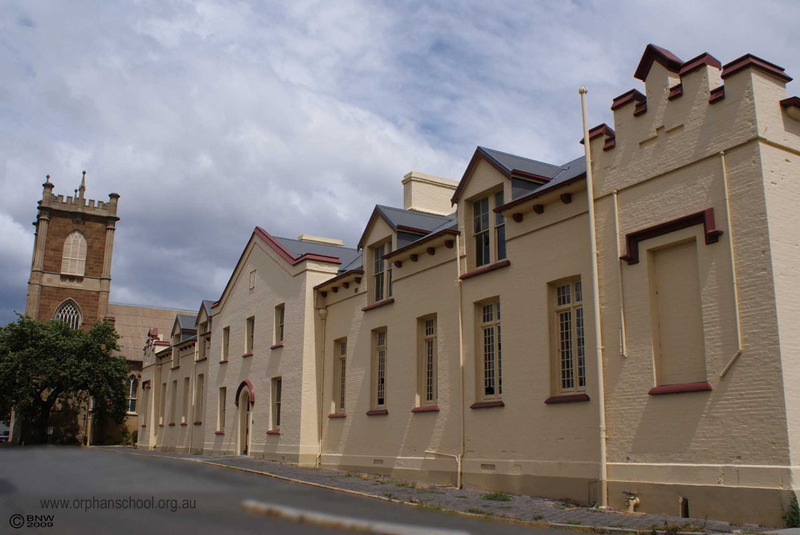 Hall continued to advocate on behalf of the children at the school and further inquiries were held in 1867 and 1871, both of which further undermined the viability of the school, which finally closed its doors in 1879. Fox's Feast was an annual picnic (1863-1879) held at the Queen's Orphanage and paid for from the legacy of John Fox, an ex-convict who had been in an orphanage in England. His legacy also rewarded the best boy and girl each year with 10 pounds and a silver medal, known as the Fox's Medal.